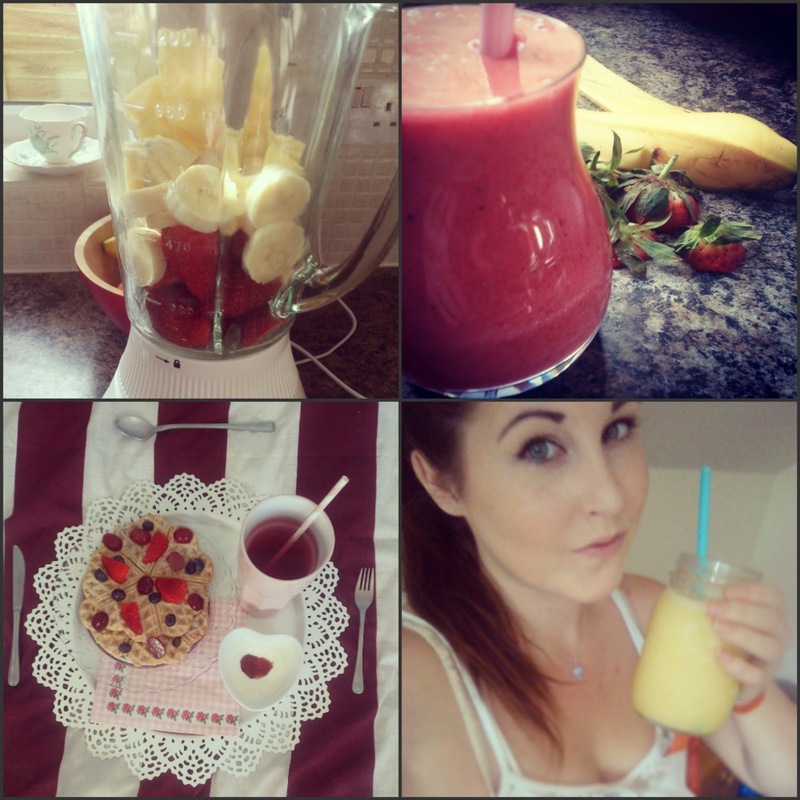 After my Clean Eating lifestyle post (here) a few of you asked me to post some Clean recipes. 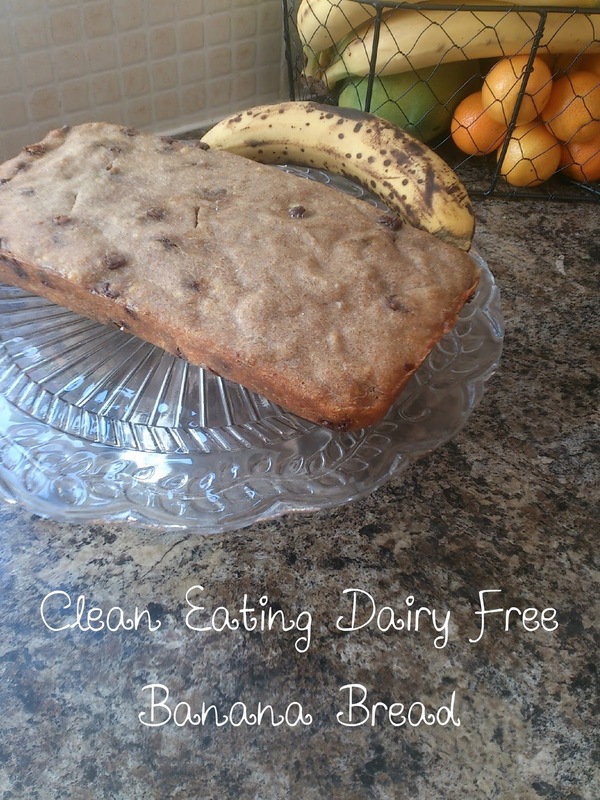 So, I am excited to be sharing with you today my favourite clean chocolate chip banana bread recipe, and as an added bonus - this one is also dairy free! 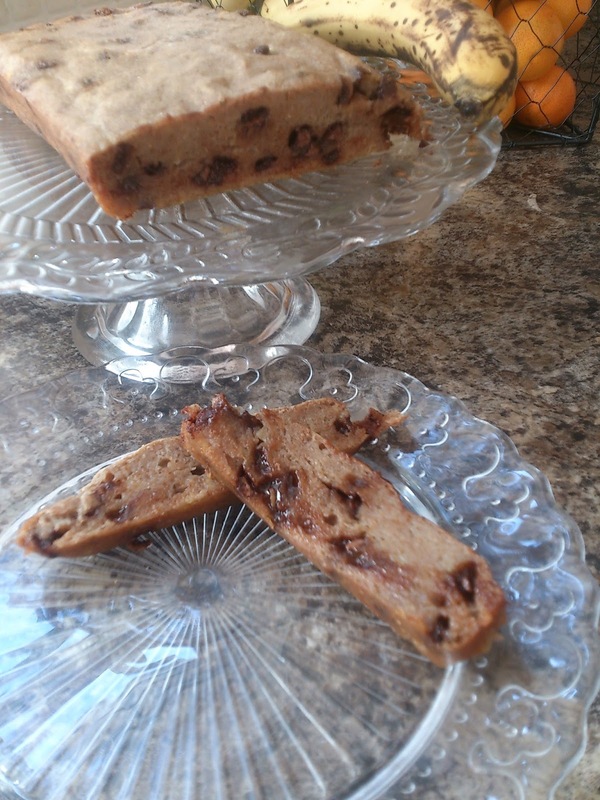 Banana bread has always been one of my mums favourite treats and I love to make it for her, but I love this one even more as I know I can enjoy it too! It is moist, chocolatey and so, so yummy! The beauty of banana's is that they are so sweet on their own, so you really don't need to add any extra sugar! Lets start with what you will need! This recipe is so simple, so let's start by pre-heating the oven to 170 C / 350F.
. Coat your loaf tin with olive oil / Spray oil and set aside.
. Un-peel and mash your bananas in a separate bowl, setting aside.
. 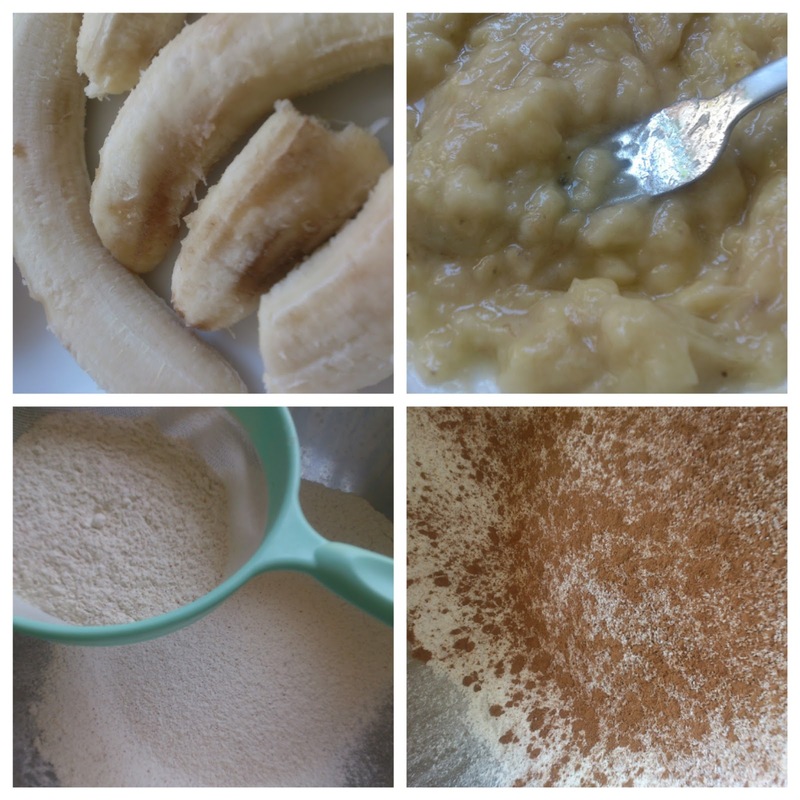 In another bowl, combine the flour, baking powder, baking soda, cinnamon and salt and set aside.
. Using a large bowl, combine egg whites, banana, honey and coconut oil. 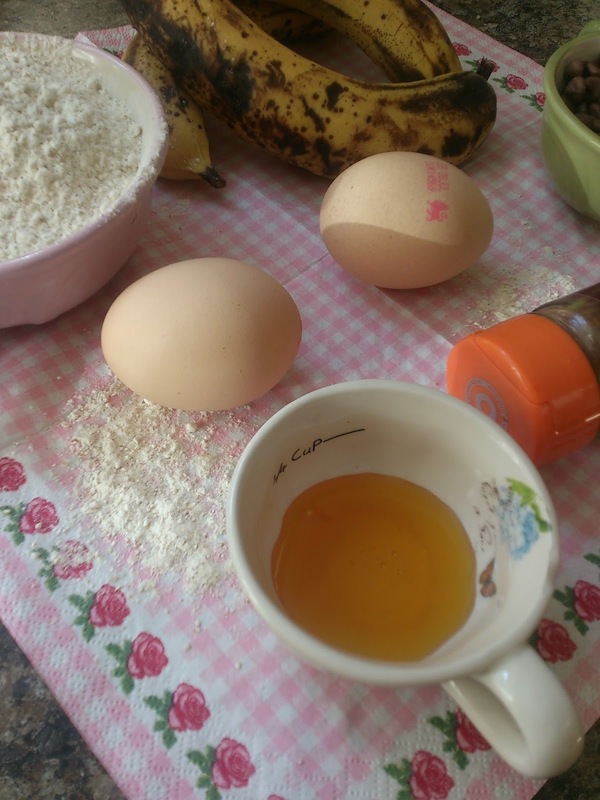 Once mixed well, add the flour mixture to banana mixture stir until moist. The batter should be lumpy, so do not over stir.
. 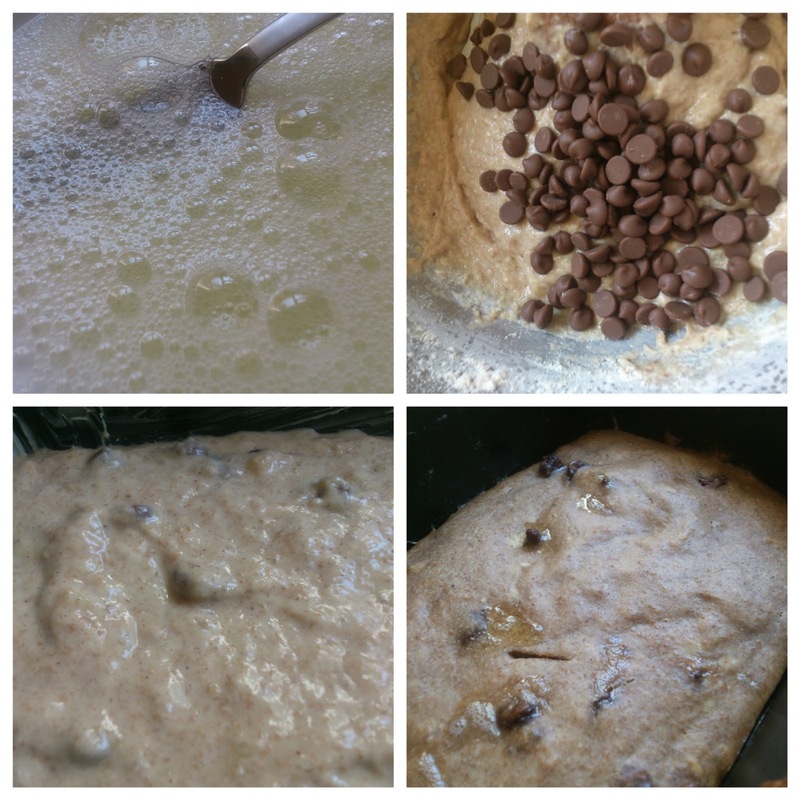 Mix the chocolate chips in to the batter and Spoon the mixture into loaf pan.
. Bake for 45 to 50 minutes.
. Let bread cool for about 10-15 minutes prior to cutting. That's it! This banana bread is so delicious and knowing that it is full of clean, good ingredients is so comforting, too! It's so yummy to eat warm, its crispy on the outside and soft & chewy on this inside! Do not worry if it doesn't rise as much as your usual banana bread does, its very dense and flavourful so a little goes a long way! I really hope you guys enjoyed this recipe and please let me know what clean food ideas you would like to see next! Summer is officially here now, so I feel it is a good time to share my top pedicure tips with you! Although most people prefer to leave their 'me time' or pampering until the weekends, studies actually show that we look most tired midweek, so now is a great time to dig out that foot scrub and your favourite summer nail polish! Whilst at beauty school I learned how to give the perfect pedicure, so, if you follow my simple steps your feet will be left salon worthy and positively beautiful! 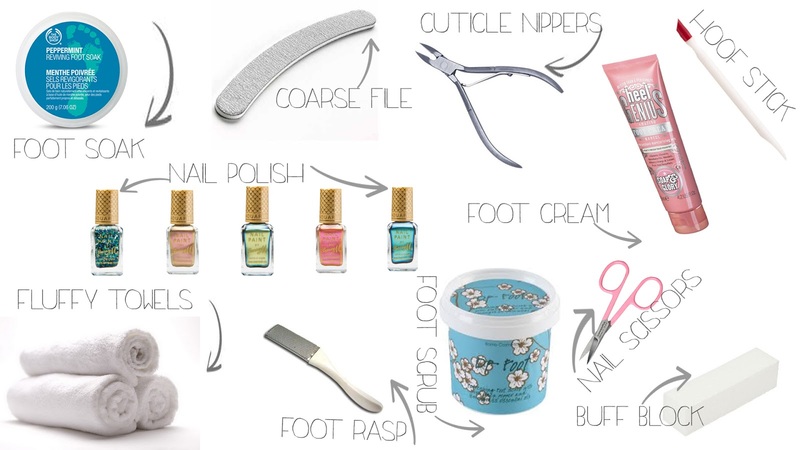 You only need a few simple items for a complete pedicure - and they can all be picked up on the highstreet, too! Now that you have the perfect 'ingredients', lets get started! A full pedicure will take you around an hour to complete, so make sure you set enough time aside to fully relax and grab a cup of your favourite beverage to enjoy! Pedicures are also fun to do with your friends - you can give each other a pedicure and you will feel so relaxed!
. Start by laying down a towel on the ground - this will stop spills and marks getting onto your carpet, and it will also stop your bowl of water sliding around the floor if you have hardwood flooring.
. Now you need to fill up a bowl with warm water and add in your foot soak - this could be crystals or a gel type produyct. Swirl the product around in the warm water and allow it to fully dissolve. You could even add in some pretty flowers! Sit this on top of your floor towel.
. If you already have nail polish on your toes, it's time to remove it now.
. Submerge your feet and ankles into the water and allow them to soak for 5-7 minutes - this will allow the products to really soak into your skin and it will also soften up any hard skin - making the filing much easier!
. Now you need to take one foot out of the water and dry it off with your other towel.
. If your nails need to be cut back then take your nail scissors and carefully do so. Make sure you cut your nail straight across and not in a curve as this will stop ingrowing nails.
. Now take your nail file and shape your nails! They will look best if they are all the same length and shape, so try to achieve this. A coarse nail file will be very helpful as toenails tend to be thicker than fingernails!
. Pop your foot back into the warer and repeat with the other foot.
. Now take your first foot out again and dry it off with the towel. Because your feet have been soaking in that lovely, warm water, your cuticles will be softened and much easier to work with!
. Take your hoof stick and gently push your cuticles back - this is very important to do, because if you don't they can attach to your nail, grow upward with it and split - which can be very painful!
. Now, if you have them, take your cuticle nippers and VERY carefully trim your cuticles back - don't take them off completely, just take off any excess. Please be very careful when you do this step, as new cuticle nippers can be very sharp!
. As before, dip your foot back into the water and repeat with the other foot.
. Now take your first foot back out from the water and dry it off again.
. Pick up your buffing block and file all over the surface of each nail, this will smooth them out and make your polish application flawless!
. Take your favourite foot scrub (I love Dr Foot by Bomb cosmetics) and begin to rub it all over your foot (top and bottom), and ankle.
. Next (without washing off the scrub), pick up your foot rasp and begin to rasp all around the ball of your foot, the outer most side, and the underside of your big toe and little toe. Try to do this for at least a few minutes and the hand power of the rasping, plus the exfoliating beads in the foot scrub will really take off all that dead skin!
. When you are done (or when your arm gets tired! ), you can dip your foot back into the water, rinse off the leftover scrub and repeat on the other foot.
. Now take both feet out of the water, dry them off and move the bowl of water away, you wont need it any more.
. Squeeze out a £2 coin size amount of your foot cream ( I love 'Heel Genius' by Soap&Glory), warm it up by rubbing it between your hands and then begin to massage it into your foot, ankle and half way up your calf. Do this with slow, firm, flowing motions to get the blood flowing and to really work the product deep into your skin.
. When you are finished with your massage, take some nail polish remover and gently swipe it over your nails - this will remove any excess oil, allowing your polish to properly adhere to the nail surface and last fort the maximum amount of time!
. The final steps are, of course, to paint your nails. If you don't have foam toe separators you can take ordinary tissue and wrap it between your toes to spread them, this will stop nail polish smudging onto the toe next to it.
. Start with a good base coat ( I love O.P.I Natural base coat). Paint on a thin layer starting by sweeping it up the centre of the nail, then a stroke up the left side then the right. Using a base coat stops nail polish from staining your natural nail and also allows any coloured polish to last much longer.
. Now use your favourite summer polish (My favourites are the Barry M Aquarium collection! ), and repeat the same process of painting 2 layers onto your nails to ensure an even coat and maximum colour - make sure you leave at least 5 minutes between each coat to allow it to fully dry.
. Finish your pedicure with a good top coat! This will keep your nail polish from premature chipping and will also give it some gorgeous shine! Make sure you sit back and allow your new polish to dry for around 10 minutes and then slip your soft, sparkly new toes into your favourite sandals! Pedicures are a great way to relax you! Our feet take so much strain each day, so it is very important to look after them and keep them in the best shape! 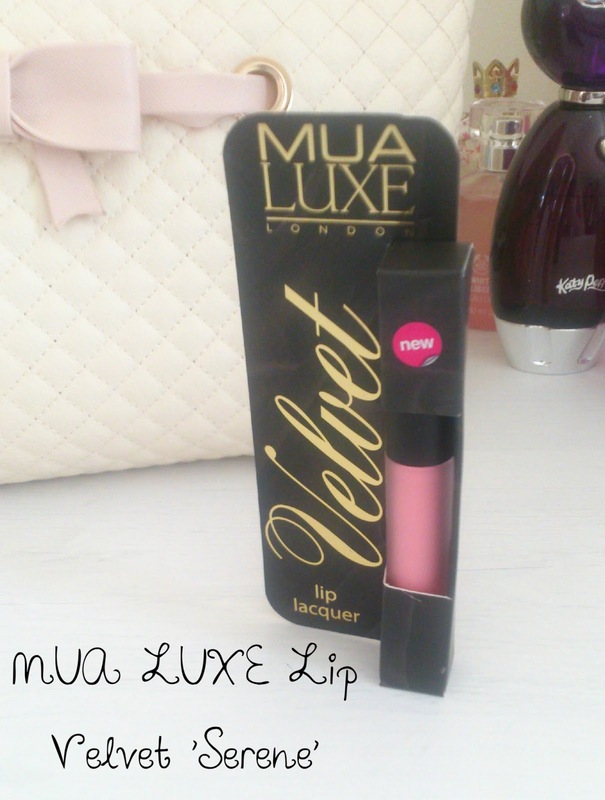 I know lots of you Love the MUA Lip Velvets - they are a perfect dupe for the Lime Crime Velvetines, but at just £3 a pop these are a total bargain! I was so excited when MUA announced on their facebook page that they would soon be releasing 4 new more wearable shades, and I managed to get my hands on one! Its fair to say that I expected a lot from these as I had loved the other shades so much! There are 4 new shades available which are named 'Tranquillity', 'Halcyon', 'Aflush' & 'Serene' - I chose 'Serene' but I really want to try out 'Tranquillity' too! The packaging is the very same as the previous collection - It comes with a beautiful cardboard sleeve embossed with luxurious golden lettering. The tube itself still has the frosted glass effect - this is something I love very much, it is very expensive looking and it feels nice in your hands! I also like that the shade name is on the bottom of the tube - so you don't have to keep opening each and every one to find the exact one you want! The formulation of the product is still smooth and creamy! When I swatched 'Serene' On the back of my hand I fell in love with the candy pink colour and thought it would be great for those days when I feel like my look needs a pop of colour - or for when I'm feeling more adventurous with my make up. 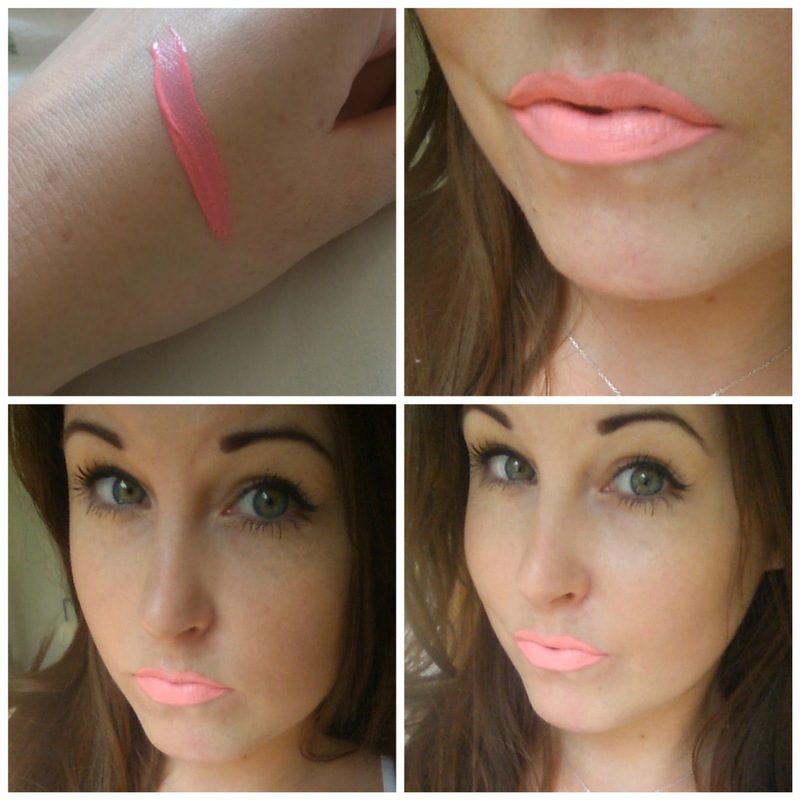 However, when I applied it to my lips my reaction was totally different -it's so bright, almost neon?! I was a little disheartened as I was expecting this to be a more wearable shade like MUA had promised, but maybe it's just my skin tone that doesn't seem to match it. I assure you I have not edited my pictures in any way, it really is that bright! I have tried to capture it in different light so you can really get a feel for the colour. Perhaps it would work better with tanned skin, but I really couldn't see this being something I would wear everyday. The first time I applied this shade I felt it was a little patchy, so I took it off (which was not easy, so MUA have kept the great, long lasting formula - yeyy! 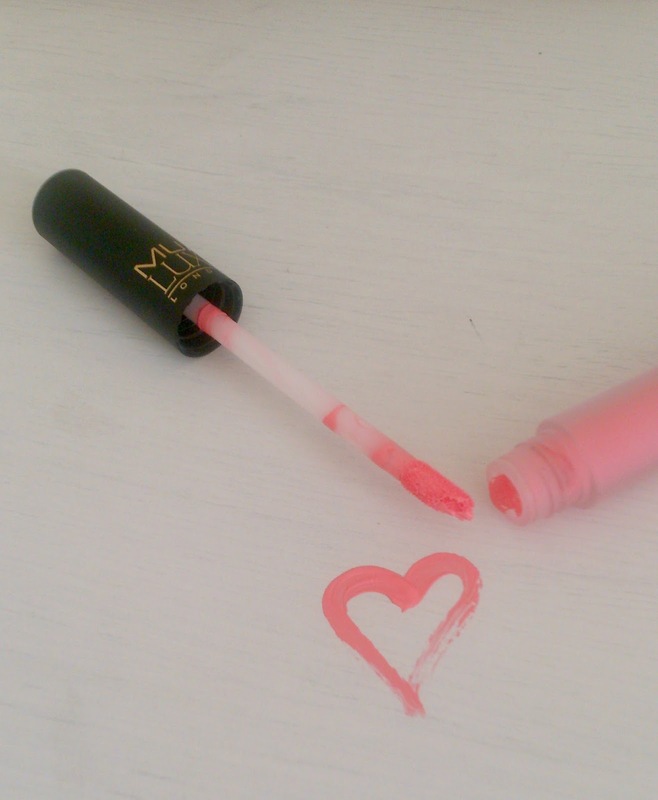 ), exfoliated and dried my lips and applied again, and it swept on perfectly. For now, you can explore the previous Lip Velvet Collection here! Some of you may know that Dan & I are planning our wedding, for 26th September 2015! Time is ticking away and we are (slowly!) moving closer to planning each part of the day, so I thought now was a good time to start posting on our progress. 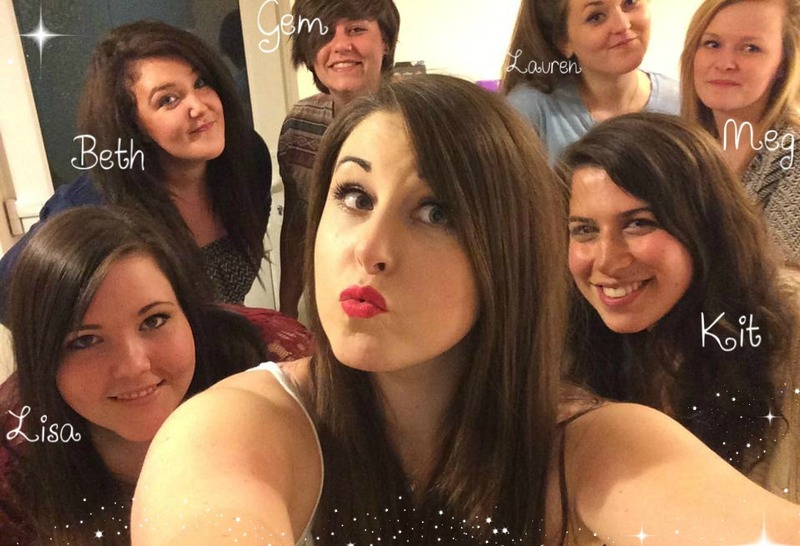 So, I introduce to you my crack team who are gonna keep me sane through this whole crazy journey! Lisa - She is beautiful, funny & so, so sweet. We met at beauty school and she made me godmother to her more-than-perfect Daughter last year so I feel it is only right to have her with me on my special day <3 I love her so much and I know I can trust Lisa to be honest with me and show me the way when I feel lost! Gem - Gemma is the funniest person I know. As well as being my beautiful cousin she is also my counsellor and my happy influence! I love Gem with all my heart and I know that my wedding would not be complete without her to share it with. Lauren - She is my chief bridesmaid and my perfect sister, who keeps me happy and listens when I want to talk about anything and everything! She is gorgeous and her creativity will certainly come in handy for the wedding. I cant wait to laugh all the way down the isle with her! Meg - Megan is my cutest cousin and I love her millions! As well as making me laugh hysterically she is a fashionista who will help us pick out the most prettiest dresses and accessories. She is a star and I cant wait to spend the wedding with her! Kit - I love Kit so much! She is the kindest and sweetest person I know, and she is so pretty it hurts! I love her genuine personality, her faith is contagious and her positive attitude rules! I know she is gonna be my calm-maker throughout the wedding and beyond! Some may say that 6 girls is a lot, but everyone does things their own way and I know that having my group of girls to support me throughout the planning, shopping, designing, and the wedding is what will make this much more enjoyable for me! Planning our wedding is one of the most exciting, yet stressful times of our lives, so it is so nice to know that I have such a beautiful and trustworthy team behind me when it gets tough, or when Dan just cant talk weddings any more haha! I wanted to ask my girls to be my bridesmaids in a way that represented me and our wedding. Something unique, fun and rustic. I searched the net for inspiration but nothing seemed to fit quite right, so, I went it alone and got creative! 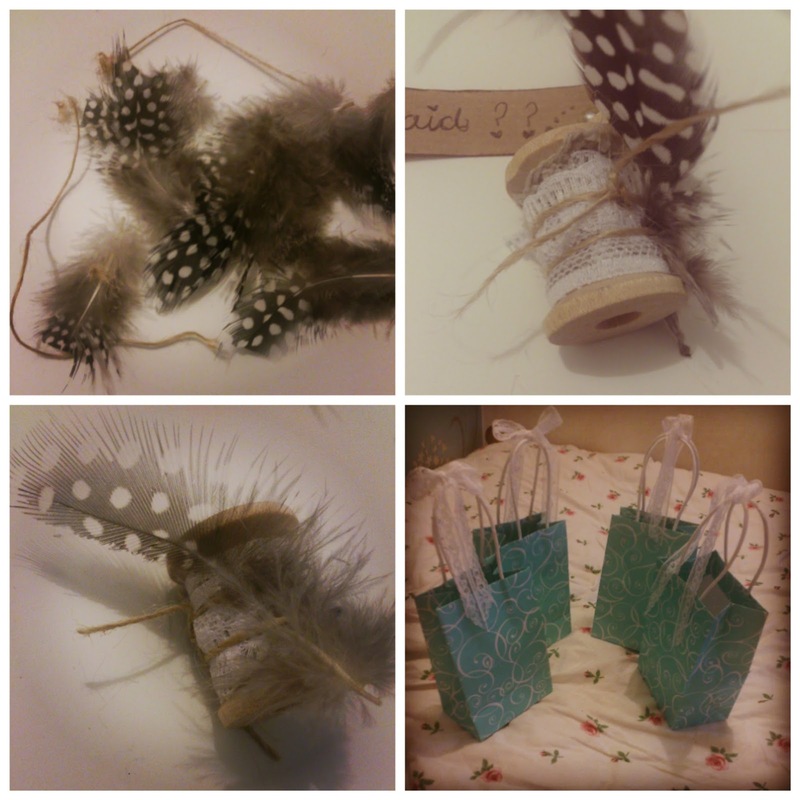 I browsed eBay for some craft items and ended up picking up these adorable wooden cotton reels, some brown jute twine, some brown lace, white lace, some pheasant feathers and some silver diamantés. 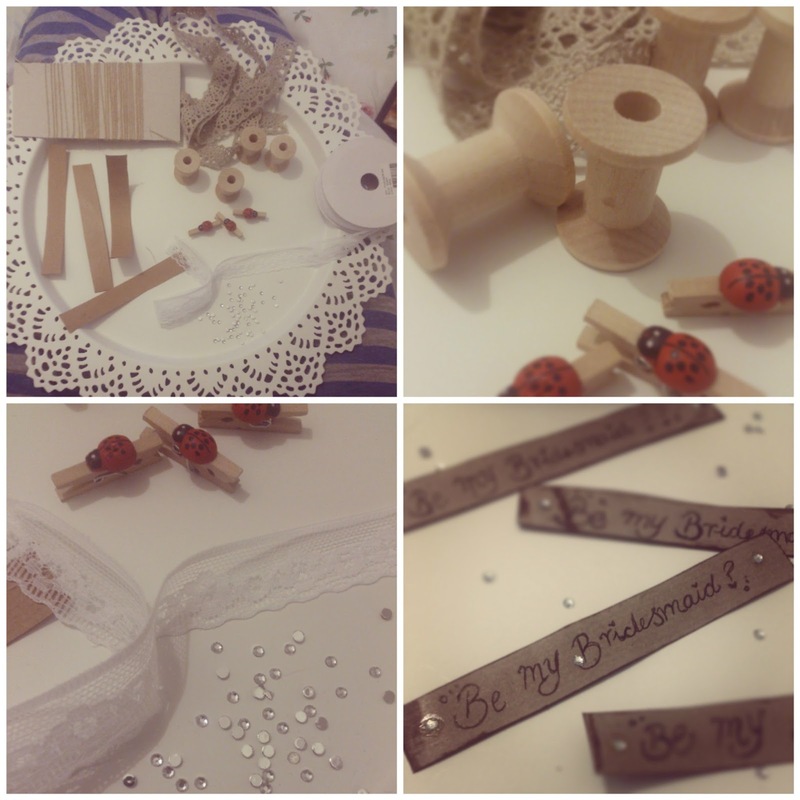 I cut out some brown paper, ran over the edges with some brown distressing ink (for a vintage effect), decorated them with the silver diamtes and neatly wrote on them 'Be My Bridesmaid?'. I then wrapped this (facing inward) around the cotton reels and continued to wrap them with the brown lace, then some of the white lace. I followed this by tying it together with the brown jute twine and slid in a beautiful feather! I popped them into these cute gift bags and completed by finishing the bags with a white lace bow. I was so pleased with how they turned out and the girls absolutely loved them! It was so fun to watch them unravel the different layers of sting and lace until they revealed the hidden message within! I am pleased to say that they all said yes, and we are all so excited to go dress shopping within the next couple of months. We have already had a big sleepover to look through my wedding scrapbook and discuss dress ideas! There is 15 months until the wedding, but Dan and I feel it is important to plan as much as we can beforehand so we don't stress out too much nearer to the time, and so we can enjoy our special day from start to finish and on into married life! How did you / will you ask your bridesmaids to join you on your special day? Hi Honeybee's, hows it going? You know that I am totally smitten with the MakeUp Academy Power Brow Pencil, but recent unsuccessful shopping trips to buy a new one lead me to pick up a new brow product! 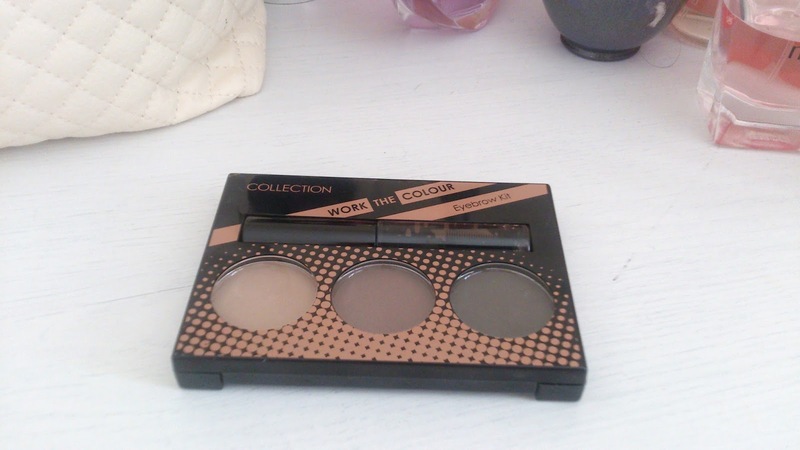 I am so awkward about buying new brow products as I have tried so many rubbish ones before but when I spotted the new Collection 'Work the Colour' eyebrow kit, I was more than intrigued! I am a fan of most of the Collection products and seeing that this was only £3.99 I really wanted to give it a try! When this cute little palette is closed up you can still see the product inside, which is something I really like! It displays a trio of brow powders which are protected by a plastic inlay and an adorable mini tube of brow gel! I am really impressed with the durability of this case - it is made from acrylic and features an interesting dot work pattern. I was a little worried that because of the price of this product, it wouldn't be made well and would fall apart but it really stays shut until you open the clasp and, because I'm so clumsy, I have dropped it a couple of times and it is still as new! The only thing that I'm not too sure on about this product is the name. 'Work the colour' seems to be more appropriate for an eye shadow palette with bright colours rather than a neutral brow kit - but nonetheless, it hasn't affected the quality of the product, so I'm sure that can be overlooked! Upon opening the Palette you notice that there is even a small brush included! It is a double ended brush featuring a slanted edge and a blending edge - how handy?! 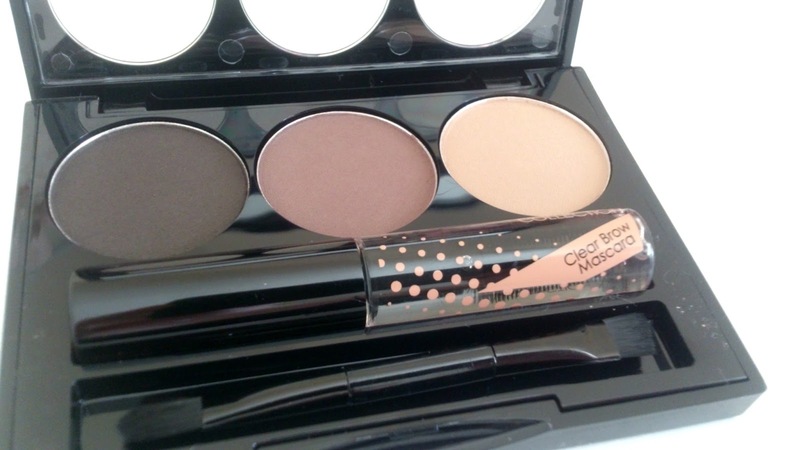 The Brow gel is so sweet and is also printed with the dot pattern and name of the product, which is very thoughtful. There is also a sweet little mirror inside - so this is a really great on-the-go product, too! I was also impressed that, bar the brush, everything really stays in place inside the palette. 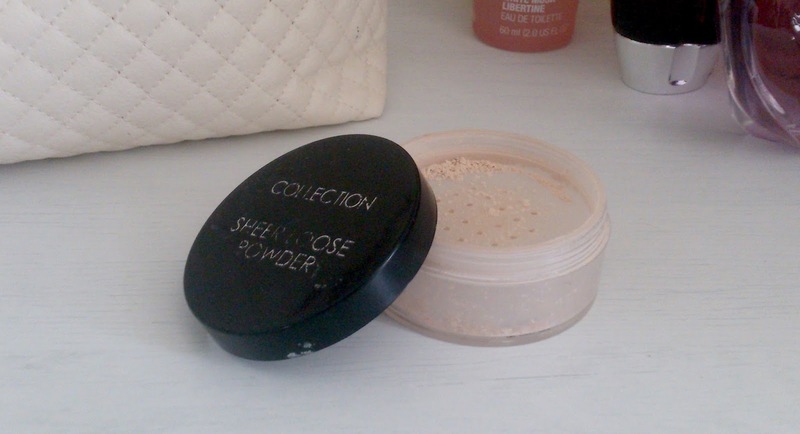 It wont get crushed or broken if you travel with it and the pressed powders haven't shattered since I've used them! 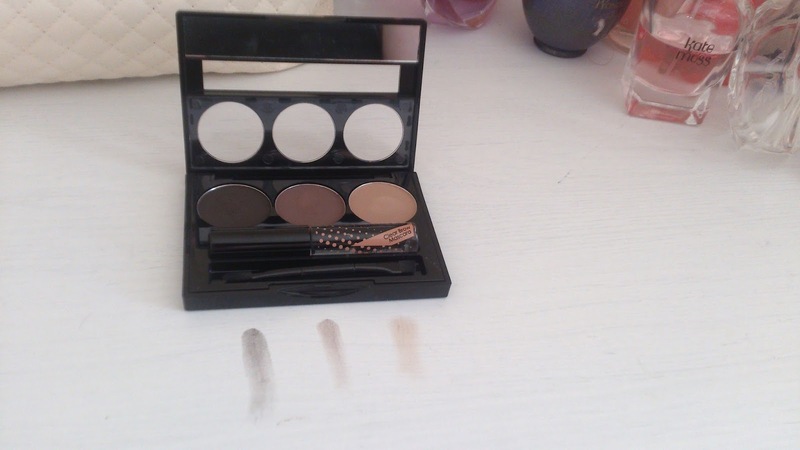 The trio of shades means that this is a great palette for everyone, from fair to dark, and I've even found that they are great for blending too! I love using the slanted edge of the brush to blend the 2 darker shades, and they match my brows perfectly! I had never used a brow gel (or brow mascara) before and I was slightly dubious about whether it would make any difference, but I was pleasantly surprised at how well it kept the powders in place and it meant I didn't end up with stray hairs either! I didn't think anything could top my beloved MUA Power brow pencil but I really think this has! The fact that it is a powder product means it is a lot easier to blend - resulting in a more natural and structured brow! I also think that it is absolutely great for just £3.99 - you really do get a whole kit, everything you could need for perfect brows! Here is an example of how this product enhanced my brows - you can see that they look significantly fuller and they are much better shaped with the product in! I was quite worried that the brow gel was going to make the hairs too slick and wet looking but the brush is very thick so I needn't have worried! I am so impressed with this little treasure, everything about it is great. The price, the durability of the casing, the longevity of the product and the colour pay offs' are great too - I would really recommended this to anyone! When I brought the Brow Kit I also qualified for an offer of a free Limited edition Collection Mardi Gras Lip balm! Wooo! I have been using this non-stop since I got it - I think I'm addicted! They scent is wonderful and my lips feel so hydrated when I use it. 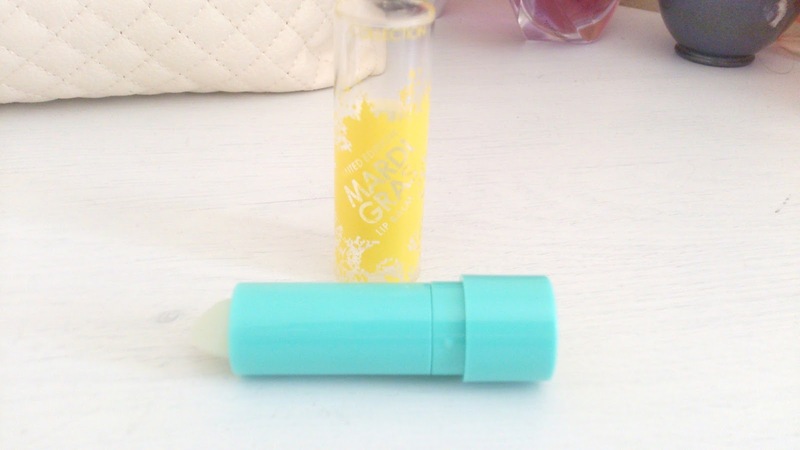 I think this is a great dupe for the Maybelline baby lips lip balm (which I have also used) - it gives my lips the same care, and has a very similar packaging, but it is half the price! The Collection Mardi Gras collection consists of 3 lip balms and 3 nail polishes in fun and vibrant colours to tie in with summers hot tropical and carnival trends! The packaging of the lip balms have been criticised for being cheap looking but I think they are bold and fun - and for the price, what's not to love? You can shop Collections entire range in stores and on their own website (here)! Have you ever noticed that you always seem to run out of almost every single product you own all at once?! Typical! This very thing happened to me recently and I was going through all my empties, thinking 'would I buy this again?' and 'did I like this one?' .. So I thought I'd share with you, my thoughts on some of my recent empties! Skincare has become a bit of an obsession for me lately and some of mine have run out - time to replace them! I love searching the isles for new and exiting products, but sometimes you just cant beat your goold ol' favourite! Overall Thoughts; I LOVE this! 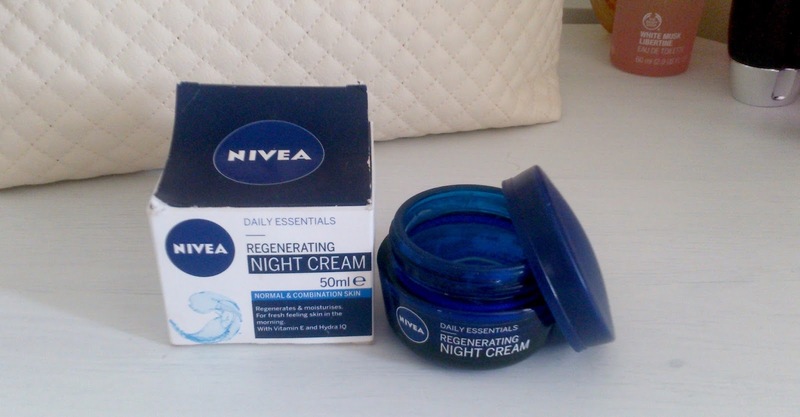 I have always been a fan of NIVEA products and this is no exception! I had never owned a night cream before and didn't really see what difference it could make, but it is so thick and luxurious that I wake up with super soft skin! I love the deep blue glass jar, it is heavy and expensive looking. This little treasure will only set you back £3.99 and it lasts ages! It has a very calming scent and lots of wonderful, natural ingredients. Would I buy this Again? ; Without a Doubt. For the price, you really cant beat it! I am shopping this weekend so I will definitely pick up a pot! Overall thoughts; Toner is an essential in my skincare routine. I have tried a lot of them, and I have to say, this is not my favourite. It has a lovely scent and is refreshing, but I felt that it left my skin a little dry. It is alcohol free, which I love, and it is a cool blue colour, however I didn't like that it spilled out crazy fast when you tip i up for use! This product is a bargain at £2.99! Would I buy this again? ; Unfortunately, I probably wouldn't. There were more things that I liked about it than disliked, but I just don't like the way it made my skin feel dry. Y'all know me well enough by now to know I love my make up! I love nothing more than testing out new products and colours, but I'll always have my favourites that remain firmly in my make up bag! 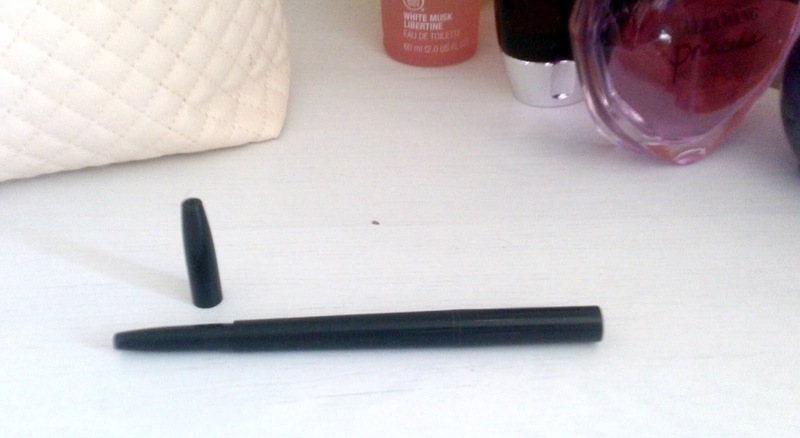 Overall thoughts; This is the best brow pencil I have ever tried. It is perfect in every way - bargain price at £3. A good range of shades for each hair colour. Comes with a highlighter on one end AND it is retractable so it wont smash or break if you ravel with it! The only thing I dislike about this, is that it is so hard to find - since running out of this I have looked in 3 different Superdrugs and it's been all out of stock - but I suppose that's a testament to how great it is! Would I buy this again? ; No question! 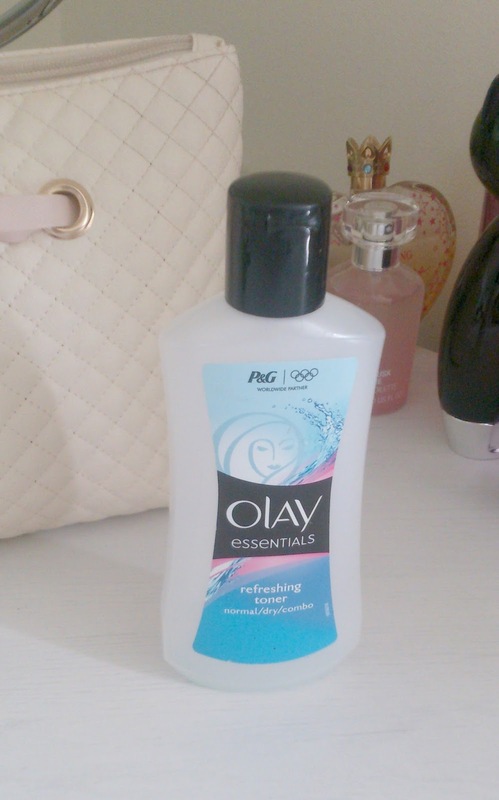 As soon as I see a Superdrug with them in stock I will be buying in multiple amounts haha! For now I am using the new collection Brow Palette (review coming soon!). Overall Thoughts; This is a great foundation! I'm not so keen on the packaging, but at £5, who's complaining? I rarely use this foundation alone as I feel that the coverage isn't great (perhaps that's why they call it 'Undress your skin'?) 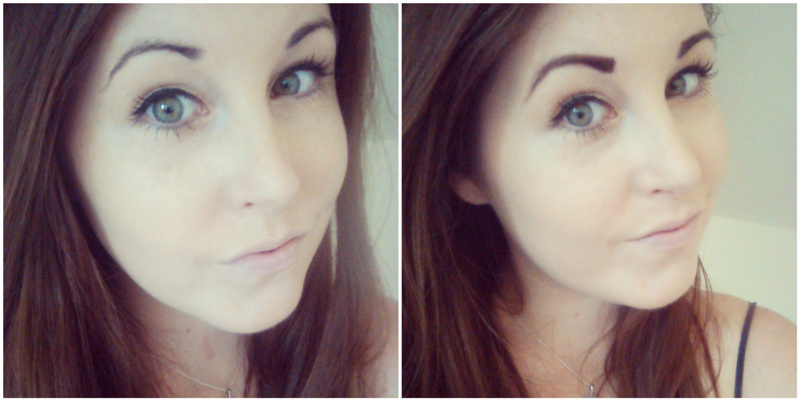 but I find it absolutely perfect to mix with my other foundations to get my exact colour! It doesn't seem to oxidise and it isn't too thick either so it blends very well! Would I buy this again? ; Actually, I already have! 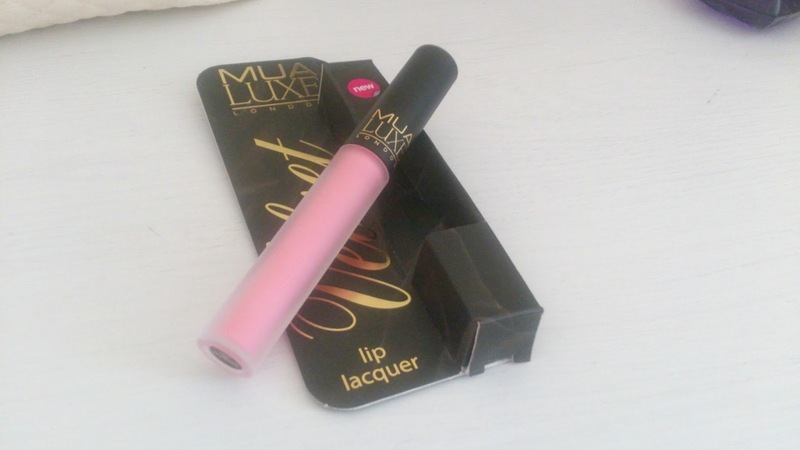 It was on offer fr £3 in Superdrug so I had to pick up a tube! Overall thoughts; This is a perfect all rounder! The price is great at just £2.99, the packaging is simple and protective and the product is great! This is the only loose powder I've tried that hasn't left me with an orange flush, it's wonderful! This comes with a small powder puff but I prefer not to use it as it can spread bacteria! When I use this my foundation stays in place for ages, I do have to re-apply around my chin in the afternoon but that is just because this area of my face can get oily! Would I buy this again? ; I have already re-purchased this! Its such a good price and I really feel like my make up isn't finished without it! 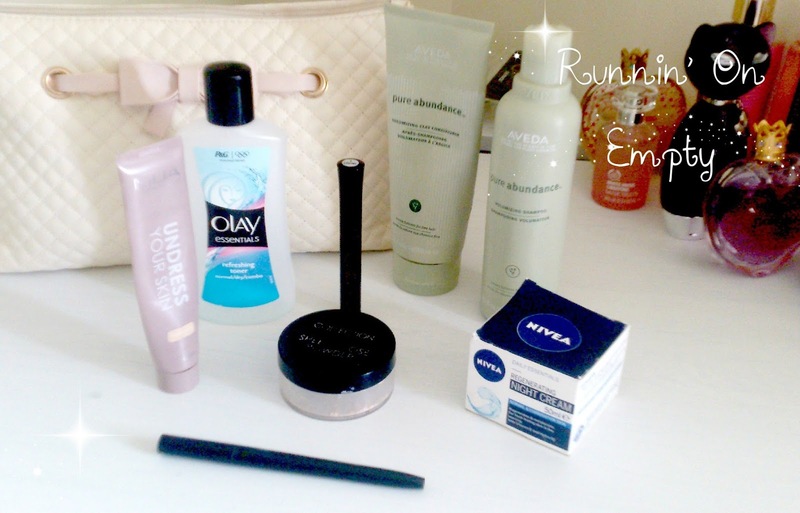 Overall Thoughts; Another Collection product here - can you tell I love budget beauty brands?! 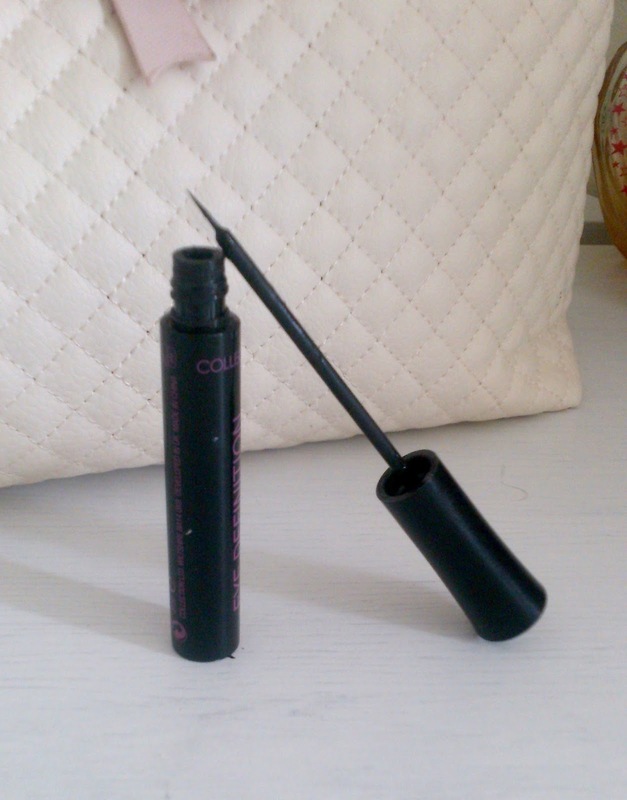 This is the ultimate liquid liner, it slicks on smoothly (no dragging! ), lasts so long on the skin, doesn't flake or crumble and only costs £2.99! I really love the flexibility of the brush and the black is so intense! Would I buy this again? ; Again, I have already re-purchased this! I just cant do without it! I've recently become more and more interested in hair products, my hair is so long that it doesn't really stay in any style, but i have found a new fondness for trying out products, and I'm not about to stop now! Overall thoughts; Wow, wow, wow! 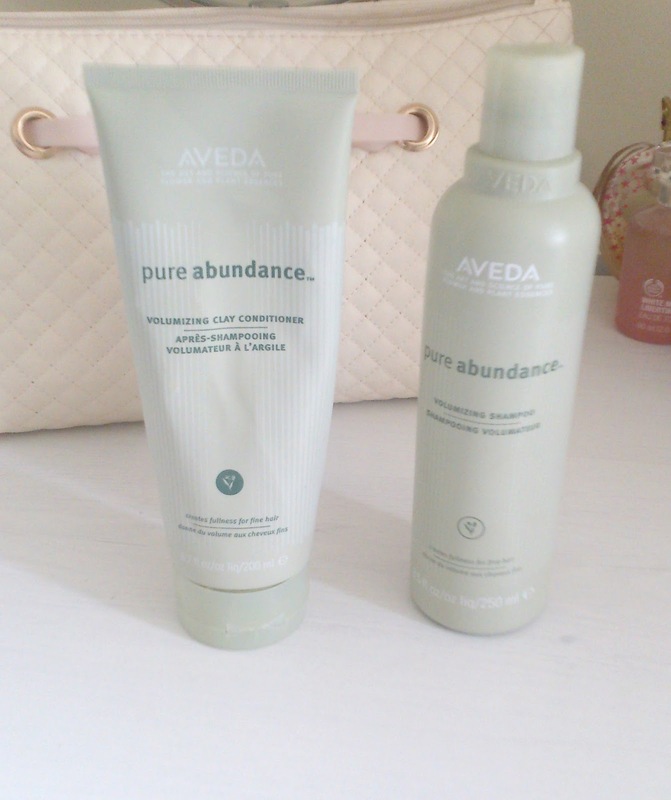 These products are just incredible <3 I'd use them every day if i could afford to - but at £17 for the shampoo and £19 for the conditioner they are a little out of my price range! My mum bought me these as a gift and I have never used anything quite like it! They smell so amazing, as if straight from a spa and they make my hair so big and voluminous! The conditioner includes rganic clay which fills out the hair follicles and makes hair appear thicker and more abundant! I just love it! Would I buy this again? ; For a special occasion, I definitely would! Nothing has worked so well on my hair as this and if i had shorter hair I would but it all the time as it would last a lot longer! I always feel sad when I reach the end of a product, particularly if it is a favourite of mine, but then I remember that I now have a legitimate excuse to go out and try something new, or even just scour the shops for a few hours testing them out! 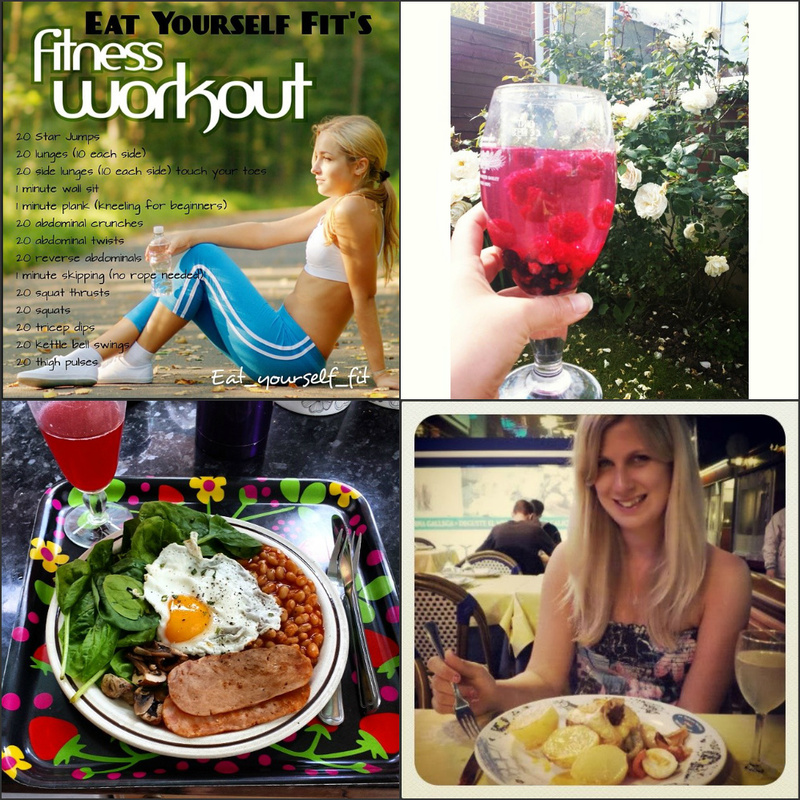 My Fitness Achievments, Goals and Inspiration! If we're honest, we've all tried them. We see summer creeping up and inbetween the bad habits that Slimming World teach and the hugely unsatisfying Weight Watchers meals, we end up loosing out on more money than weight! I am as experienced in this as the next person. I always geared myself up ready for weightloss clubs, thinking I was going to magically shed 2 stone in 2 months, thanks to their promises of 'eat as much as you want and lose weight' and 'no gym necessary', but it never really happened. And even if I did stick it out and lose a stone, it always seemed to creep back on - plus more! This may be a touchy subject for some of my readers, and while I want to majorly stress that nothing is better than being confident in your own skin (no matter what size! ), I just did not feel happy with the way I was and I was looking for a life change, not a diet. I was happy to put in hard work and not expect a quick fix and quick results. That's when my dear friend Cat introduced me to the Clean lifestyle. If you haven't heard of this lifestyle before, it is one in which you motivate yourself - no club membership fee's, no ready made heat up meals, just good, clean, natural home cooked foods. This doesn't mean to say you can't enjoy all your favourite goodies anymore - if anything you may discover even more! Its important to get the balance right, of course! Clean eating isn't about what you eat, its about how you prepare it! And its not about your waist span, but about your life span! I have been following the clean lifestyle for just over a year now, but I really stepped it up when Dan and I moved into our own home in February and I am so happy with what has changed, not just about my weight, but my attitude and life quality too! I find it almost addictive! Stumbling across all these great new foods and recipes is amazing! Even though Cat and I don't train together physically she has reallllyyy been my inspiration and motivation through my whole clean eating journey - this is mainly though her fantastic Instagram page (which you can see here) - it is bursting with images of fresh, delicious home cooked meals, recipe inspiration, plus monthly fitness routines to target specific body issues! And, more recently, Cat has started her very own blog (here) and facebook page (here) to inspire us even further! So you can imagine my excitement when Cat announced that she is going to be releasing her very own clean eating recipe E-book this year! Its going to be packed full of filling, nutritious food ideas which are gluten free! Some examples of Cats Instagram page - Colourful & Inspiring! Cat has been and is working so hard on this book. It is something that she is passionate about, and she really knows her stuff so I am eager to get my hands on it (virtually) and try out the recipes! 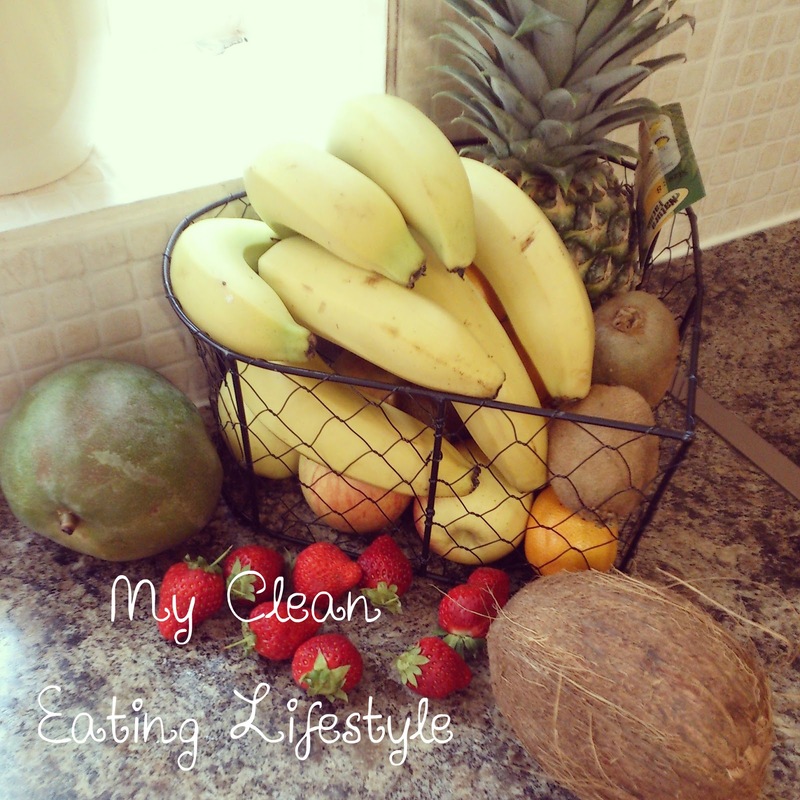 The Clean lifestyle has really changed my attitude to not only food, but also health and fitness. I used to dread the thought of exercise but now that I am eating fresh delicious and nutritious foods I have so much energy that I love exercise! I practise Resistance Yogalates every morning (Louise Solomon's 'Energizer' is my favourite! ), this may not seem like exercise but the combination of yoga and pilates plus the resistance band work really makes me sweat! I have toned up a little and the breathing exercises have helped me sleep so much sounder at night time, too! Now that Dan and I have moved to a country village I also spend a lot of time riding my bike round the pretty fields. Its a pretty hilly place and when we first moved here I had to get off my bike and walk it up the hills but I pushed myself to not get off my bike and keep pedalling and I can now make it up the hills! We also ride to the local farm once a week and buy fresh eggs! It doesn't sound like much, but any exercise is so good for you and an hour workout is only 4% of your whole day - now what's your excuse?! I make all of my meals, and they're so colourful and delicious. I have a fruit smoothie every morning - it tastes just as good as a store bought shake but it doesn't have any sugars or additives and it gives me so much energy! I also enjoy filling breakfasts of waffles (yes, waffles! ), yoghurt and fruit and even a full English occasionally - I just fry it in coconut oil so that it isn't swamped with grease! I enjoy snacks like everyone else, My favourites are fruit and granola bowls, apple and homemade peanut butter, and home made fruit icelollies - so refreshing, but wont give you a sugar crash a few hours later! I was so surprised that I could still have my favourite treats! Its just about how you prepare them! I love having waffles with honey (I make them with wholemeal flour, almond milk, mashed banana and natural yoghurt!). Sweet potato pizza is aaaammaazing (I'll share Cats recipe for this below), you can top it with so many things and it is so filling and delicious! I also love to make my own clean muffins! I really recommend this lifestyle to everyone! There's no weigh-ins (unless you want to of course! ), no pressure and no 'Oh I cant have that', so you naturally enjoy it and it just becomes habit! The benefits are endless and you just feel so good all round! You really have to be prepared to give this lifestyle your all, there are no excuses. So many people say 'I don't have time to make my dinner from scratch' but it takes, on average, 40 minutes for your takeaway to arrive, right? In that time you could have whipped up an amazing clean pizza or wholemeal pasta dish! The key is preparation and if you really want something you will make time for it. 'I cant afford fresh produce' is another issue a lot of people have. On average each Brit spends £1,320 on takeaways and fast foods a year. We seem to find money for that, but wouldn't it be better spent at the local market on fresh fruit and vegetables?! The answer is yes - you just have to be in the right frame of mind to do it! Cat's recipe for gluten free sweet potato pizza inspired me so much, (you can find the original here on her blog). Dan and I eat this every couple of weeks and it is just perfection! You can add so many toppings and it is all good for you and natural but so delicious - you wouldn't know the difference! Cooked meats such as chicken or bacon! Peel, chop and boil the sweet potato in a pan until soft - around 10 minutes. Drain the sweet potato & mash it. Mix the mashed potato and oat flour with your hands! Place the dough on it and shape the dough into a circle and flatten it down with your fingers. Then bake the pizza for 20 minutes. Remove from oven and then cut into slices. Hey Presto! 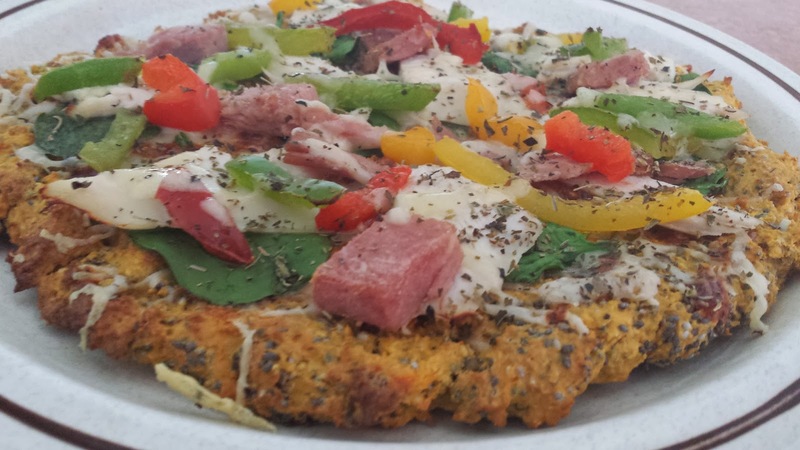 Healthy but equally delicious pizza! I really cant say how much I love this, I could eat it every day haha! When I started clean eating I was creeping up to a size 16, and while I am not judging people on their clothes size or saying any size is wrong, I just did not feel comfortable and confident in my own skin, and I hated that. Since February I have lost just over a stone and am now wearing a size 12. I am so pleased with my progress but I am not done yet! Although the weight loss has been such a great feeling I am so focused on getting fit right now that anything else is an amazing bonus! 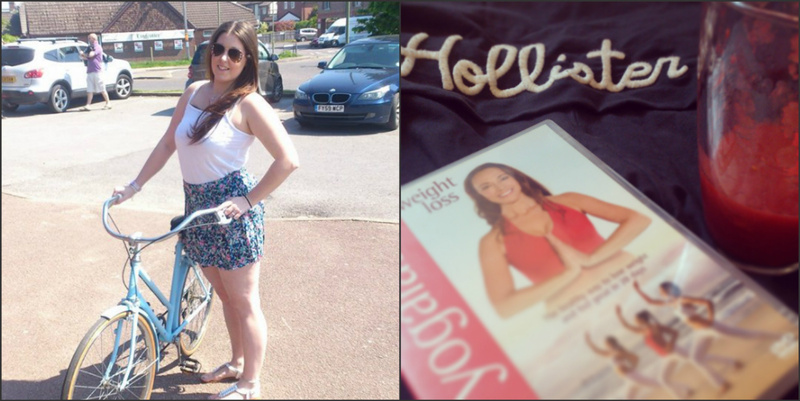 I am hoping to tone my arms, legs and stomach further and I would love to lose another 2 stone, and make a dress size 10! I know that this is going to take time and that hard work and dedication pays off in the long run so I am happy in knowing that this will not happen over night! Last year when Dan and I went on holiday I was so concious and I only bought swimsuits as I wanted to cover as much of my body as possible, but we are going away with some friends in a couple of weeks and I have bought a Bikini to wear! I know I will still feel a little out of my comfort zone but I am just pleased to have made the step forward! Clean eating has really changed my attitude and my life and its so hard to get my passion across without it sound like I am a clean eating representative selling it to you! Haha! 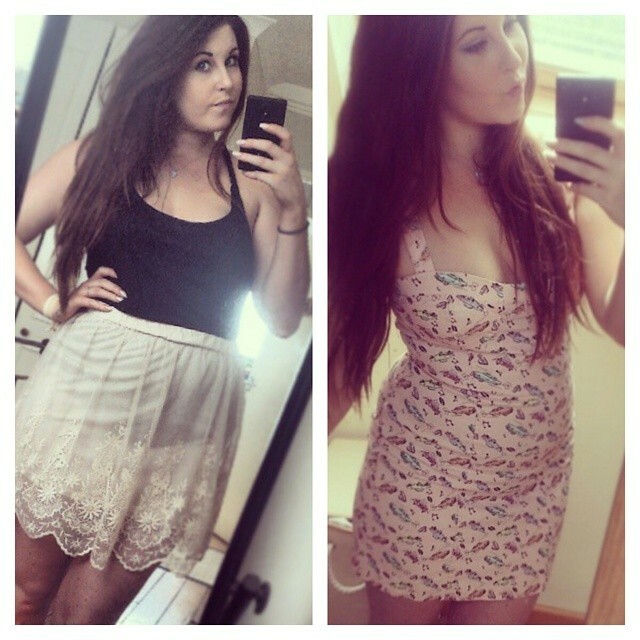 I understand that my journey has taken a lot of dedication from myself but I want to thank Cat so much because without her motivation and positive attitude and words I know that I would not have kept it up long enough to actually start enjoying it and let it become a lifestyle rather than a diet! I cant wait for her book to be released! If you guys want more info on her book or the clean lifestyle, follow her through the links at the start of the post. She is so friendly and always happy to help out, so ask away! What do you guys think of the clean lifestyle? Would you like me to post any more recipes?